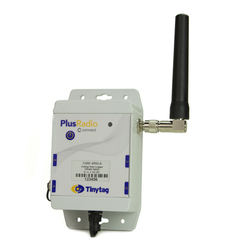 This data logger monitors voltage from 0 to 2.5V DC and can be connected to a variety of sensors enabling the logging of a wide range of processes. The logger is waterproof and suitable for outdoor, industrial and warehousing applications. It sends information via USB or LAN receiver to the computer managing the system. This unit is supplied with an input lead (CAB-3239). Alternatively you can buy our 5-pin connector plug (ACS-9703) to connect to your own sensor.